If you’re thinking of becoming a landlord, and whether you should rent out your own property, it’s advisable to think hard about some of the less obvious things that being a landlord will entail, as well as the potential benefits of making money from your home. People are fussy in today’s saturated rentals market, so if your property needs some work on it, or isn’t that desirable, you might want to try and improve the condition of it before you think about putting it on any agent’s book for letting. People will want to be able to have a good look around the property before they commit to living in it for any length of time, so keep it looking good at all times and regularly maintained. What Type of Tenant Do You Want? It pays to be choosy about the sort of person you’re going to be letting your property out to, but at the same time with the market being flooded with properties at the moment, there is a lot of competition for the best tenants. You need to really think about the type of accommodation you are letting and who it’s likely to appeal to. If you’re close to town and facilities it could be ideal for a student let in a big college town, a house in the suburbs might appeal to a family, and somewhere close to transport links – especially railway stations – is often a good choice for commuters. How you describe the place in any letting agency or newspaper adverts will obviously affect the type of person you attract. Are you going to say the property has three bedroom, or two bedrooms and a study? Will you mention the close transport links or quiet neighbourhood? You need to decide whether you want to live in or close to the property while you’re renting it out, or whether you prefer to be a hands-off landlord? 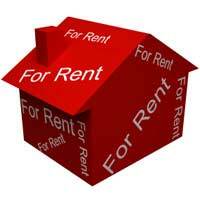 Are you going to hand the day to day management of the tenancy over to a letting agent? Do you want the property to be let to just one person or family, or would you be happy letting it out to various people? You will need to draw up different type of tenancy agreement if you opt for a multi tenancy and more work for you or your letting agent. Do you really have a clear idea about how much it really costs for a tenant to run your property, when you take into account things like council tax, utility bills and the like? You need to get this fixed in your head when it comes to deciding who you’ll target the property to and the rent you’ll charge. There’s no point trying to fix a rent that’s going to price you out of the market in your chosen target tenant list. If you have a mortgage on the property, before think about letting it you’ll need to get in touch with your lender and insurance company. The mortgage lender may insist on you letting the property on a specified tenancy, and if you don’t notify the insurance company you might find that your policy is voided. If you’re letting a flat that is leasehold, you’ll need to contact the person who owns the freehold to the flat. If you’re not sure, it’s best to speak to a solicitor or a professional letting agent for advice.